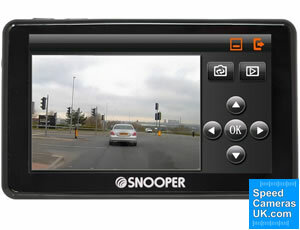 Snooper SC5900 DVR Truckmate is designed for use by truck drivers and in HGV's. Street-level maps for UK and all of Europe are included for FREE and can be updated for FREE too. THe SC5900 DVR is Windows and Mac compatible. 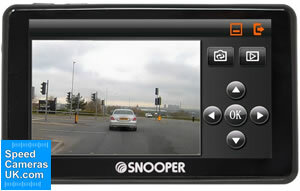 To read more about the Snooper SC5900 DVR range which includes car version, coach version and motorhome version please click here. 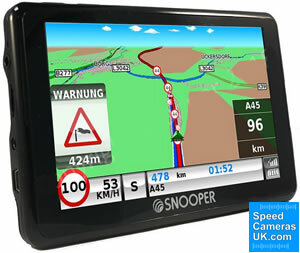 Snooper SC5900 DVR Truckmate Europe with FREE lifetime map updates £279.99. The Snooper SC5900 DVR Truckmate will only route you along appropriate roads for your large vehicle. Simply enter your vehicle dimensions and weight and then you will be routing accordingly avoiding low bridges, narrow roads, etc. This makes your journey in your truck, lorry or large van much easier as you will not need to plan ahead thinking about potential low bridges, weight restrictions and narrow roads, etc. 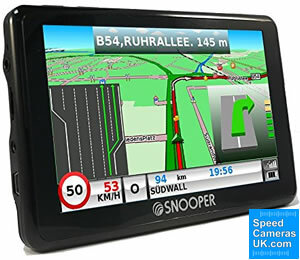 Looking for more information on the features of the Snooper SC5900 DVR Truckmate sat nav or how it installs in your vehicle, etc? View the SC5900 manual by clicking the PDF logo below. The manual opens in PDF format.